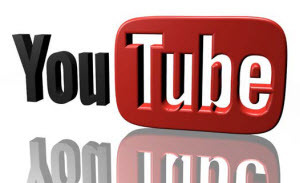 YouTube, the most popular online video-sharing website, covers almost all the sorts of video types, like music video, self-shot funny video, TV shows video and hot Hollywood movies, etc, from which you can find out any video you care a hang and enjoy it online. But accidents always tend to happen. What if don't have time at the moment and just want to save the YouTube video to watch later offline? The idea of capturing YouTube videos to Mac may come up to your mind. Yes, why not? If you have the right YouTube vdieo recorder for Mac, it will be just as easy as a pie. On this occasion, some users may think about QuickTime player. Yet, one point should be noted: QuickTime can record full screen only, which will increase unnecessary output storage, and it will record both the sound of Mac speaker and noise from the enviroment. Well, if this means we can do nothing but nail-biting? Certainly not, trust me, there is always a way to tackle this trouble. You can choose to capture the non-downloadable YouTube video with a professional yet credible YouTube recorder. Fortunately, the world-renowned MacX Video Converter Pro is the very one you can resort to. It enables to let you faultlessly record any live streaming video on YouTube from your Mac screen (El Capitan and macOS Sierra) with terrific high quality. * You can save the captured YouTube videos on Mac to MP4, MOV, 3GP, AVI, WMV, H264 etc. for iPhone, iPad, Android devices. This intuitive YouTube recorder for Mac OS will lead you to accomplish the YouTube video recording task easy as A-B-C and meanwhile reserving 1:1 original video and audio quality. Step 1: Click "Screen Recorder" Button. After free downloading and running YouTube video recorder for Mac, press the "Screen Recorder" button on the main interface. Step 2: Adjust Capture Settings. In this area, you are allowed to customize the screen recording area by choosing "Keep Full Screen" or "Crop Region". Moreover, before you capture YouTube video on macOS, you have the choice to select the quality of video to be recorded, tweak the video frame rate, add sound effect to your video, and alike. Tips: for smoothly recording the audio, you're suggested not to adjust the audio settings lest the unexpected heightened volume would hurt your hearing. You can capture streaming videos on Mac from not only YouTube, but also any other sites. Step 3: Select the Destination Folder. Click "Target Folder" button to select a destination folder and save your recorded YouTube video. Hit "Start Record" button, the program will start capturing YouTube screen video within a fraction of seconds. 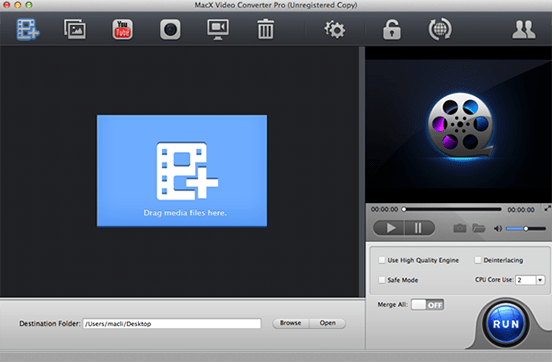 Note: After recording YouTube video on Mac, you can simply load the recorded YouTube video into the video converter for further conversion and editing. You are allowed to be fully tapping into this Mac video converter to convert your recorded YouTube video to MP4, FLV, AVI, MOV, WMV, etc for playback on Samsung Galaxy S7/Note 4, HTC 10, Amazon Fire Phone, iPhone, iPad anywhere anytime. As mentioned above, the Mac YouTube video recorder offers another way to capture YouTube streaming videos: free download. Using this way, you can skip the video playback process while recording, and capture YouTube videos for Mac computer right away. Step 1: Free download YouTube video capturing software Mac version for Macbook Pro/Air, iMac etc. (Windows version is also available for 10/8/7/Vista/XP) and launch it. Then click "YouTube" icon and "Paste & Analyze" button to detect YouTube streaming videos. Step 2: Choose the output video format, resolution, video size as you need. Step 3: Click the "Browse" button and choose the location where you would like to save your captured YouTube videos. Step 4: Press "Download Now" to save the YouTube videos offline. It takes half-a-minute to get a 4-minute HD music video. You can also capture YouTube audio on Mac only by converting the video into MP3 or other audio formats. Besides the outstanding YouTube recording ability, MacX Video Converter Pro also amazes you at its finer performance in creating slideshow video with photos and music, downloading and converting any YouTube video, and converting among the standard definition and high definition video so that you can convert any video to more than 180 video formats and 14 audio formats, like AVCHD to MP4, MKV to MOV, MTS to AVI, FLV to MP4, etc. at your disposal.